These are ten books that I loved enough to give 5 stars, and that I think have way less hype than they deserve! For the sake of fairness, I’m not including unreleased ARCs or anything that released in the last few months. This is a creepy little 2-story short anthology about scary queer girls, and I love it so much. It is THE perfect Halloween read, by the way. C.K. Walker is better known for her r/nosleep infamy, but her collections are so fun and creepy, and I never hear anyone talk about them! I really expected this book to blow up when it released, and I’m so sad it didn’t. It’s about an autistic girl who falls in love with a disabled boy, and the representation feels so good, honestly, and the story is so sweet. This was the first ARC I ever received! It’s about a girl whose boyfriend leaves her high and dry at her abortion appointment, and she’s forced to go through the healing process without the support she deserves. Parts of it are written like a play, and it’s so poignant and enjoyable. This is another book I expected to get more hype than it did. It alternates between the past and the present: in the past, the narrator is dealing with a very abusive home situation, and in the present, she’s trying to cope with the fact that her entire family has just died in a plane wreck, and she’s the only one who survived. Bring tissues. This is, by far, my FAVORITE middle grade book of all time. It’s about a little doll who comes to life in a dollmaker’s shop in Krakow during WWII. This is a story told through poetry, and it’s about the famous artist, Artemisia Gentileschi, and her court trial against the man who raped her. It is brutal, and incredible. This is a fabulism/magical realism story, and it’s super queer, and it’s a little bit creepy. Mostly, though, it’s just bizarre and incredible. Apparently, my mission in life is just to never shut up about this book, but seriously, it came out in the 90s and it still holds up today – how often do you see that in a YA contemporary? It’s about a girl who befriends a new classmate who is mute and unresponsive to the world around him, for the most part. There’s a little bit of romance, but mostly, it’s about healing and found families. Since this was an Owlcrate book last year, I’m shocked it still has so few ratings. I loved this book. A girl makes a deal with a demon to get away from her alcoholic and abusive father, but the thing she has to give up is her heart. It’s very character-driven and very sad and very, very gorgeous. What are some under-hyped books that you love? My first State of the ARC: July! August TBR: #ARCAugust & #BookTubeAThon 2018! Spellbook is fantastic! Oooh, you know what, I have Duels & Deceptions (I think that’s the name) – is that one of the ones you’re talking about? I never hear anyone talk about it! Duels and Deception is one of them she has two other ones: Love, Lies and Spies (my favourite) and Suitors and Sabotage! Awesome! 😀 I will definitely have to give it a read! Right?! I loved it so much and I definitely cried at least once. It’s so beautiful and it makes me really sad that it hasn’t gotten the hype it deserves. I read The Hearts We Sold as a finalist for the spec-fic category for the CYBILS awards, and while it didn’t win, it was FABULOUS. I do not know a single one of these other books though, so thanks for raising awareness. 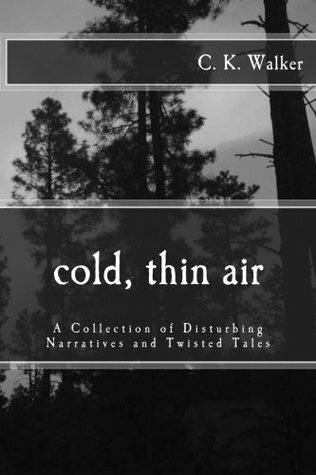 I don’t like super creepy/horror stuff, but there are still a number of books on here I’ll be looking for. Thank you! 😀 Haha, please do! I have only heard of one of these, but I guess that’s the point of the prompt! Yes, exactly! 🙂 That actually makes me happy! Even though I think The Dollmaker of Krakow was a bit simplistic and has a few plotholes, I agree that it was a precious hidden gem and I wish more people would read it! That’s awesome, I hope you’re able to! 😀 Thank you lovely! And yes I did! Thank you!!! ♥♥ I’m not gonna lie, I keep staring too, lol! I’m so happy with how it turned out. I’ve never been 100% happy with my theme before. Wow, I don’t know any of these books, but they certainly look interesting. I’m so intrigued by Aftercare Instructions. That was such a good read, Chrissi! It wasn’t perfect, and the writing needed a little refining, but it’s still the only YA book I’ve ever read that offered an authentic insight into abortion and didn’t vilify the character for the choice she had to make, and as a pro-choice person, I appreciated that so much. Plus, the occasional chapters told in a play-script setting were super cool – I’d never seen that before in a book, at that time. Some of my favourite underhyped books are definitely The Wicker King (!! ), The Serpent King (all the kings apparently?!) A Taxonomy of Love, and Bone Gap! That makes me SO happy to hear you loved When My Heart Joins the Thousand! I never hear anyone talk about it and I just thought it was so precious and wonderful. ♥ Her entire development into realizing that SHE didn’t need to change, the WORLD did – ugh I need to go reread it now. The Wicker King, yessss! That is such a good one and I am DYING for her new book to come out! I still need to read the other 3 you listed but they’re all on my TBR so I’m super hyped now!! I havent read any of these books. My tbr list just got a lot longer! I really liked A Song of Blood and Stone by L. Penelope and I didn’t see a lot of people talking about it. Haha yaaay, success! Oh yes, that’s one that’s still on my TBR! Awww, thank you! ♥ That makes me feel really good. And thank you again!! This is the first time I’ve ever been genuinely happy with my theme and I’m so glad I changed it. Love this spin and thanks for the recommendations! You can’t go wrong either way! 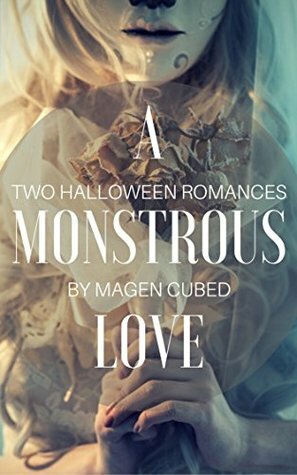 It’s always free on kindle unlimited or $1 if you don’t have KU, but I know last year, she made it free on Halloween – no idea if she’ll do that again this year or not! That would be pretty cool if she does! I really do recommend When My Heart Joins the Thousand if you like heavy but sweet contemporary stories! Like, it’s definitely not light and fluffy, but it also is really empowering and has a great message. I’m thinking I might put it on my fall TBR! If it’s anything like Spellbook, that book had such awesome fall vibes. Awesome! 😀 I’ll have to remember to let you know! This is a great list for me, since I’m only familiar with a couple of them. And I guess that’s the point, right? I’ll be checking them out for sure, thanks for the suggestions! Creative spin! I’ve never heard of any of these books! Thanks! 😀 Bahaha, then I succeeded at my goals! I love getting people to check out things they might not have heard of elsewhere. I’ve not read any of these yet, but Spellbook of the Lost and Found looks really good! It definitely is worth checking out! 🙂 Thanks, I’ll go check your list out too! Thank you, Dezzy! 😀 I really hope you love the ones you check out! Totally let me know what you think of them! Thank you! 😀 I hope you get the chance to, they’re all such great books! Awesome, that’s totally my goal haha! 🙂 One of my favorite things as a blogger is to watch an under-hyped book slowly climb up the ranks (though sadly I think a few of these are too old for that to happen with them). Aftercare Instructions was a great book to include. It deserved more hype. Absolutely!! It makes me so happy to meet someone else who has read it. I still have my ARC, but every time I’m on BookOutlet’s website and see the finished copy, I consider buying it just to support the author lol! Under-hyped books? Hmmm…I really have to read more books, because most of the books I end up reading are really hyped up (with the exception of ARCs). I did like My Real Name is Hanna, although I don’t know if that book is out yet or not. Ooh, I love your twist on the topic. I’ll have to look some of these up. Yay for underhyped books. I really liked the writing in Spellbook and loved how many different female relationships there were. It’s nice to read a book where the guys took a backseat. Yesss, for sure! I remember being like, “this is awesome, none of the dudes matter” lmao! I was SO stoked to read When My Heart Joins the Thousand before it came out, but the lack of hype pushed me away from it. I really need to give it a shot when I have money to spare, eh? xD I also really want to read The Hearts We Sold–I didn’t even know it was out already WHAT! Oh no, you totally should! It’s so worth grabbing. I keep hoping it will hit BookOutlet sometime soon so I can grab a finished copy at a good price haha. Lol and yup! THWS came out in August, I think! I love the sound of The Dollmaker of Krakow! It’s so worth picking up, but definitely have plenty of tissues on hand! Ha ha always do when reading historical fiction, especially in that era! I have only heard of the Spellbook of the Lost and Found…apparently I need to add a few more to my TBR!! Yaaaay! 😀 I love introducing people to new books they might not have heard of elsewhere! I had most of these on my TBR already (probably from you!) and the few I didn’t, I ended up adding just now. These all look so good! Yaaaaaay, this makes me so happy ♥♥ I hope you enjoy them and you have to let me know if/when you read any of them! The Dollmaker of Krakow sounds SO GOOD! I love middle-grade, so I’ll be on the lookout for that. Oh if you like MG already, definitely check it out! 🙂 I’ll check out your post, too – thanks, love! aaaah, Destiny, these are such quality picks!! When My Heart Joins the Thousand and Now Is Everything are both so high on my list. and Blood Water Paint, Spellbook, and Hearts We Sold all deserve the WORLD. especially The Hearts We Sold – i mean, just thinking about how much we both loved that on our BR… wow. All three of those are soooo good, so I hope you love them! And yeah, THWS is honestly so underrated and deserves so much more hype. It was so great!